Noida Expressway will always be in demand for accommodation for IT & ITES professional. Even people who are coming for business class or they have offices in South Delhi and Connaught place, they also interested to purchase flats at Noida Expressway. Actually Noida Expressway is directly connected from DND and Delhi East. People have red light free area from Noida Expressway till South Delhi and East Delhi. There are two measure land allotment for residential propose at Noida Expressway, one is sector - 137 and second is sector - 168 Noida. Both of the residential sectors are almost ready to move and all residential projects of these sectors are almost ready to move. So Resale flats in sector - 137 & 168 Noida Expressway is all time high demand. Apparently builders don’t have flats at lower floors for fresh booking. Therefore property seekers are going for resale intuit location, because they get desirable flat at very lower price from the builder’s price. 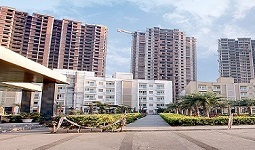 Resale flats in sector - 137 & 168 Noida Expressway is one of the most desirable word for property seekers.